Sub it in wherever you use sour cream—as a topping on a baked potato, tacos, or soup, or as the fatty agent in cakes and quick breads. 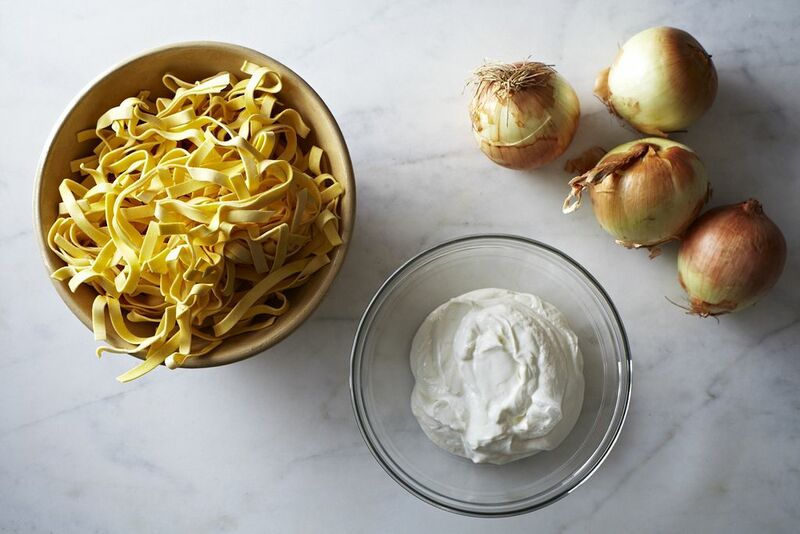 You can also add it to mashed potatoes (or toss it with pasta) instead of cream. It also makes a good mayo substitute in tuna salad. Add to pesto for a creamier texture, says Amanda. It's just as good in other sauces, too, says PieceOfLayerCake. Try adding it to a pan sauce for steak or a curry—or stir it into risotto. Make a creamy salad dressing or dipping sauce out of it. Or fold it into whipped cream for a welcome tang. Shake it into a cocktail! Really. And use a bit to make a batch of fluffy pancakes or a smoothie the next morning. And, says HalfPint, if it's a yogurt with live cultures, you can use it to make more yogurt. What's your best strategy for putting those last bits of yogurt to good use? Mix with Harissa and lemon juice for a pizza crust dip! Stir in Dijon mustard to spread onto sandwiches or as a dip for roast chicken, no joke.